Two anonymous donors helped out a furloughed federal employee who was forced to make a heartbreaking decision between her health and her home. 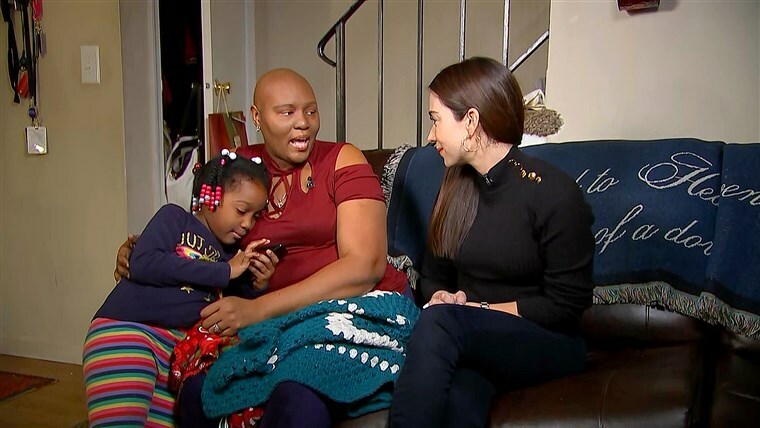 One of 800,000 furloughed federal employees last month, Quashawn Latimer of Maryland found herself facing dire circumstances and a devastating choice: Either pay for her chemotherapy -- or pay her rent. Though Latimer still had her health insurance during the government shutdown, it only covered a portion of the expenses, and she was left with a bill. The Navy veteran is suffering from stage two Breast Cancer and was set to attend her last chemo session when she received a phone call from the hospital on January 24 stating that an anonymous donor had paid off her entire balance. "A stranger just called, and he zeroed out your balance. He took care of your account. All of it." "I was overwhelmed," Latimer said. "I was literally in tears. It was an amazing moment." The donor, an Oregon resident, paid off Latimer's chemotherapy balance after viewing her story on MSNBC. When word spread of what had happened, another anonymous donor tracked down Latimer through a legislator from Virginia and paid her February rent. She no longer has to worry about losing her home. Latimer said she was relieved when a temporary lift to the shutdown was announced, but she is afraid of the potential of another shutdown come February 15. She works in program analysis for the U.S. Department of the Treasury. If you had the money to help someone like Latimer, would you have done the same thing? Have you helped out a furloughed worker? Let us know in the comments below! Is money tight for you, too? Here are four free things you can do in Maryland this month! Head to Maryland's Our Community Now homepage for more local news and features that bring us all together!